With so many colors in the rainbow, do you ever wonder why tires are always just plain black? Cars themselves come in dozens of hues, but not tires. The rubber that tires are sourced from is a milky white color, but carbon black is added to the rubber as a stabilizing chemical compound and makes the tire black. 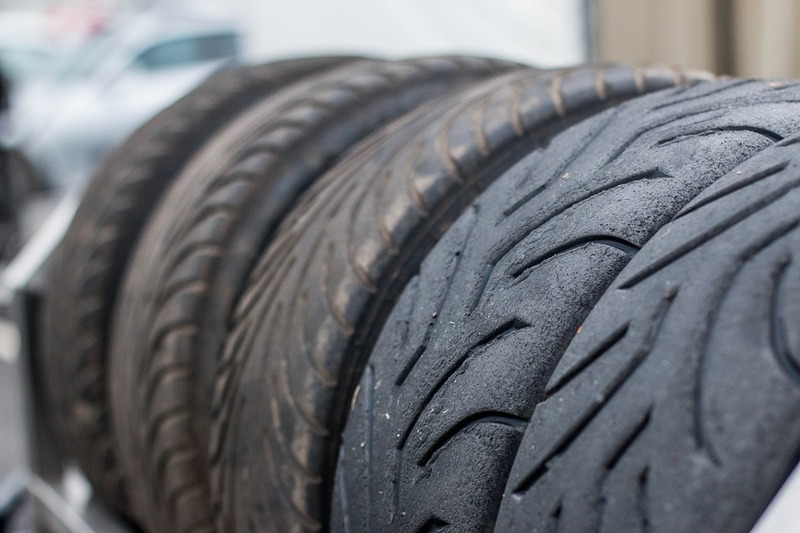 Carbon black is combined with other polymers to create the tire’s tread compound. The addition of carbon black to the rubber increases the durability and strength of the tire while darkening its color. Carbon black is an important additive to the tire as it can extend the tire’s lifespan by conducting the heat away from the parts of the car that tend to get very hot during driving, such as the belt areas and the tread. Carbon black protects the tire from the damaging effects of UV light and ozone, two known elements that contribute to the deterioration of the tire. And because carbon black makes the tire stronger, it leads to a more reliable drive. This, in turn, keeps the driver of the car safer. The black color of the tire is a practical choice where cleaning matters are concerned. If tires were lighter in color, it would be hard to keep them looking clean and nice. You might spend hours getting off the smears and smudges after a long road trip. In short, tires aren’t there for beauty but for functionality. If you want to add flourish, you can add attractive rims or hubcaps. Tires facilitate improved handling, comfort, and braking power. And most people would prefer a safe tire to a beautiful one any day. Tire Store Utah > Blog > Why are Tires Black?